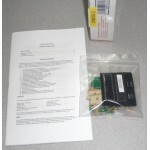 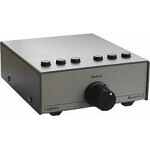 Logikey K-5 Electronic Morse Code Memory KeyerOur new 2nd Generation K-5’s with silver powder c..
Now available as either a Complete Kit or fully Assembled & Tested!The small size of this keyer .. 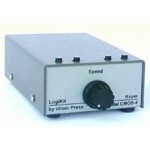 The Super CMOS 3 Keyer KitAll the features of the K-5 Keyer are also offered as a partial ..
HKA Cable Set with Shielded Metal 1/4" Phone Plug To Rig (Set of 3 Cables). 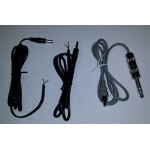 Cable for Both K-5 and C..
HKB Cable Set with Shielded Metal 1/8" (3.5mm) Phone Plug To Rig (Set of 3 Cables). 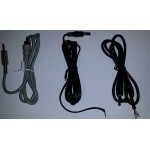 Cable Set For Bo..